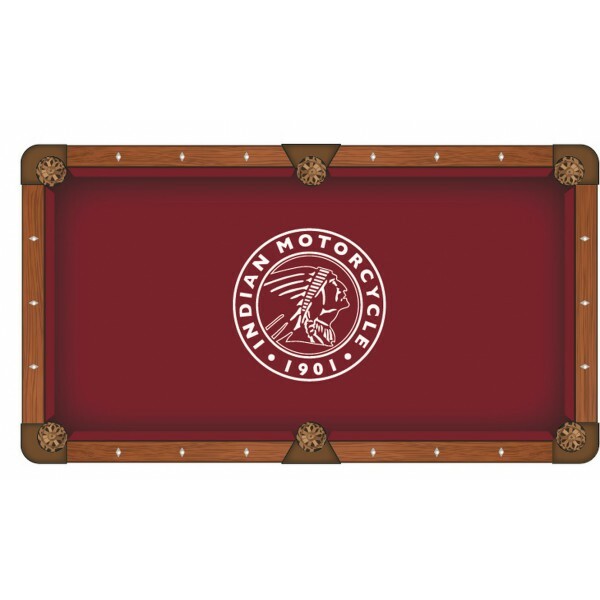 With an addition of an Indian Motorcycle Billiard table, your game room, man cave, garage, business, or home office will never be the same. 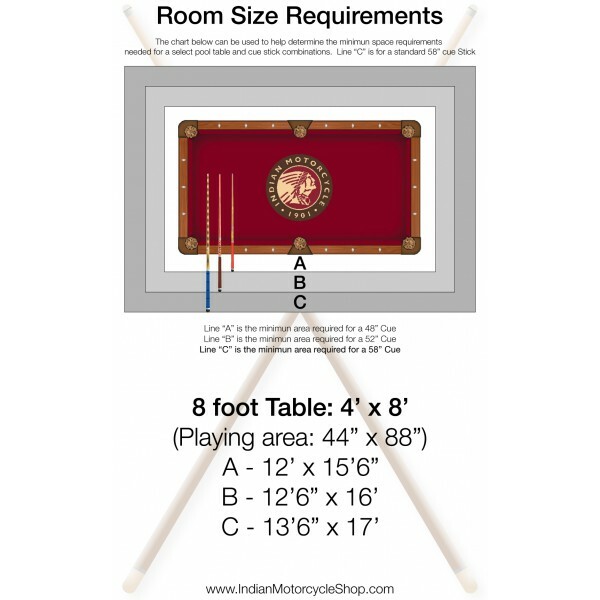 Make your room come to life with an officially licensed pool table. 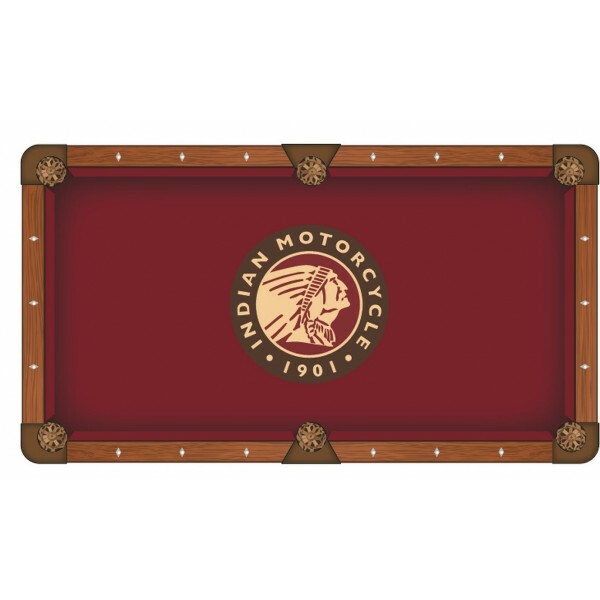 Indian Motorcycle Shop wants you to enjoy this professional quality, Officially Licensed, Indian Motorcycle Pool table. 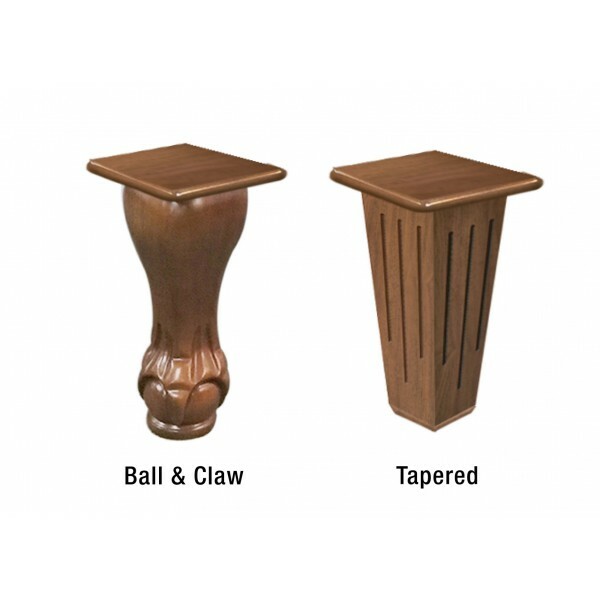 The entire table is made from solid Hardwood. 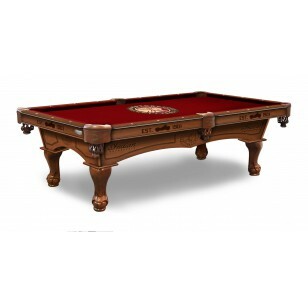 The double-arch cabinet features detailed CNC routing that accentuates the laser engraved logo art elements. Coordinating, embossed leather pockets with riveted nets match the look of the table and profile of the rail. 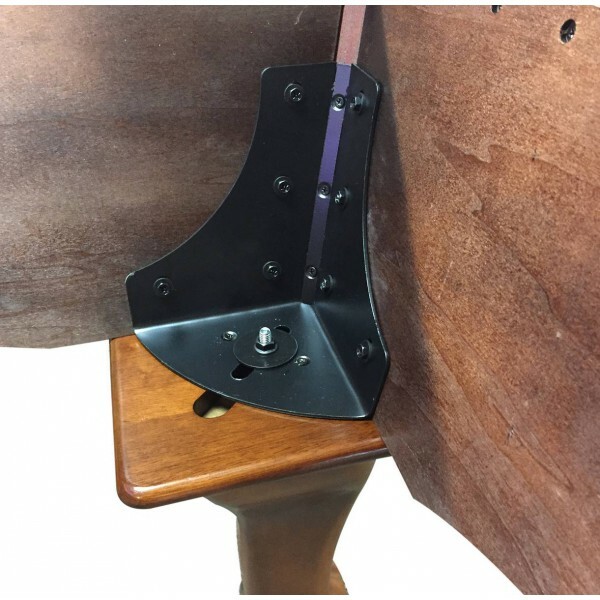 The Diamond Pearl Sites are seamlessly inlaid into each of the rails for precision aim capabilities. 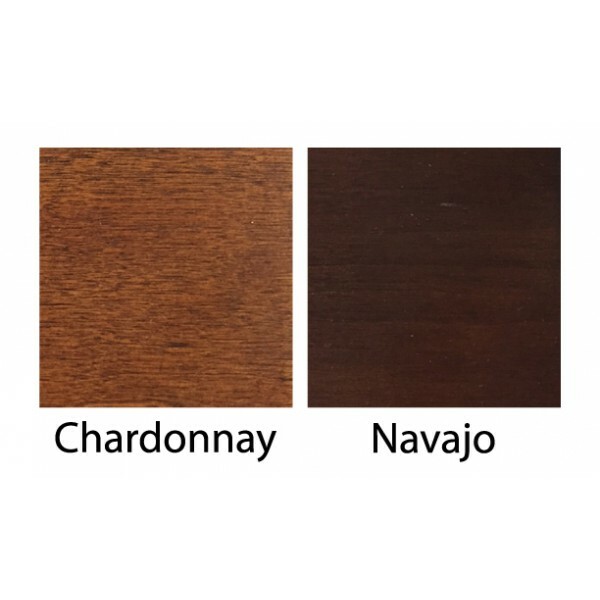 The cabinet finish is second to none and incorporates a 14 step stain and lacquer process to ensure the high quality, furniture like finish you would expect from a table of this caliber. For the play surface, a 3 piece, diamond honed, 1” thick slate is utilized for sure and consistent ball play. Covering the slate and bumpers is Hainsworth worsted cloth. 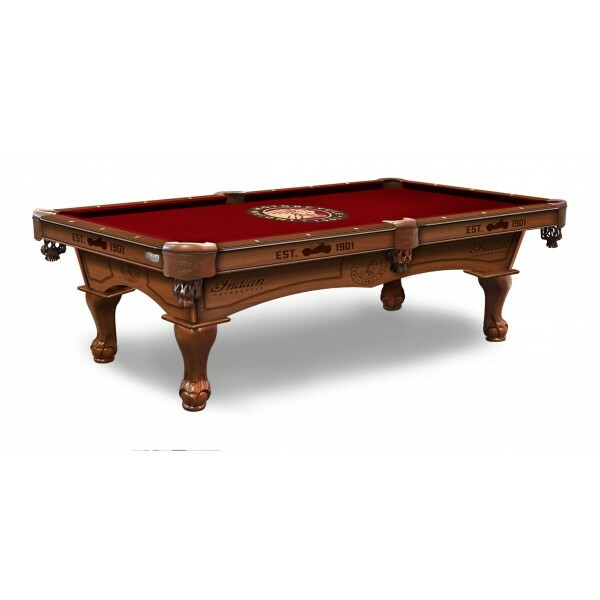 Don’t be fooled by “professional” cloth offered on other tables, this is the real deal! Hainsworth cloth is renown as one of the best pool cloths in the world, the their custom printed logo cloth is a highly technical and innovative playing surface. 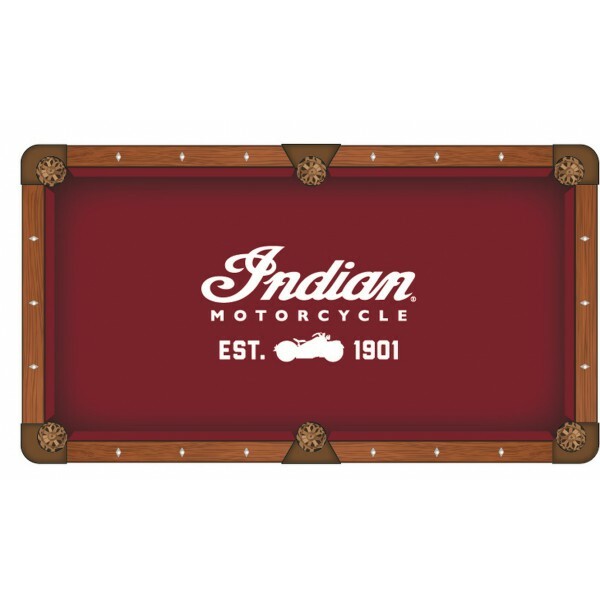 If you are in the market for a high quality, Officially Licensed Logo Pool Table, look no further than this one from www.IndianMotorcycleShop.com!